This is a Confucian School established by esteemed Confucian scholars to pay tribute to the memory of Seong-nyong Yu who was well-respected for his writings and personality. In front of it, a river is situated. Cross the river and a mountain can be found. By forming a folding screen like shape around the school, the mountains both protect and add a serene beauty to the area. This is a genuine historical site with people still living in and well-known for its traditional houses. The village boasts exquisite scenic sights: the elegant river flowing around the village, the magnificent cliff, endlessly unfolding sandy beaches, and lush, ancient pine trees. 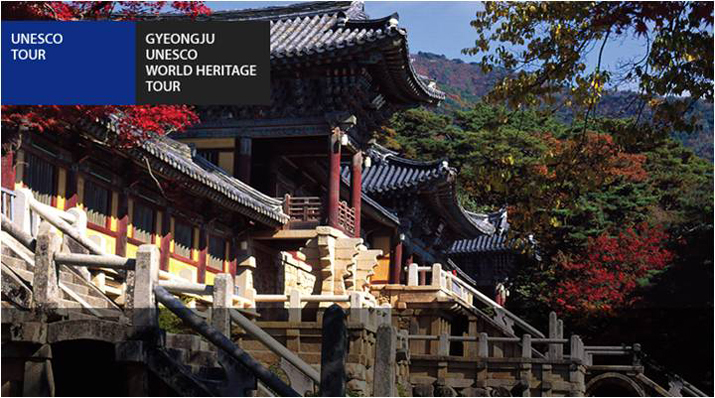 Also it was added to the UNESCO World Heritage List under the category of "Historic Villages in Korea" on July 31, 2010. In Daereungwon Tumuli Park Belt are located tombs and burial places of high personages including kings, queens and nobility. Based on its distinct area, it is divided into the Tumuli in Hwangnam-ri, Tumuli in Nodong-ri and Tumuli in Noseo-ri. When the tombs were excavated, rare and precious artifacts were discovered, including the Geumgwan Gold Crown, the Cheonmado Heavenly Horse Painting, glass drinking vessels and a variety of earthenware. This, National Treasure No. 24, is the representative stone temple of Korea. Designated as World Cultural Heritage Site by UNESCO in 1995. It is an 8th-century Buddhist cave temple carved in the hills above Bulguksa Temple and the only structure surviving fully intact from the Silla era. This is the representative relic of Gyeongju and was designated as a World Cultural Asset by UNESCO in 1995. The temple is considered as a master-piece of the golden age of Buddhist art in the Silla kingdom. The beauty of the temple itself and the artistic touch of the stone relics are known throughout the world. Daegu Banjja Yugi Museum is Korea's first bronzeware-specialized museum built to preserve the Bangjja Yugi, a traditional cultural property. It also aims to hand down its manufacturing technology to posterity so that the excellence of traditional Korean cultural assets may continue to be presented, and the development of local culture will be promoted. 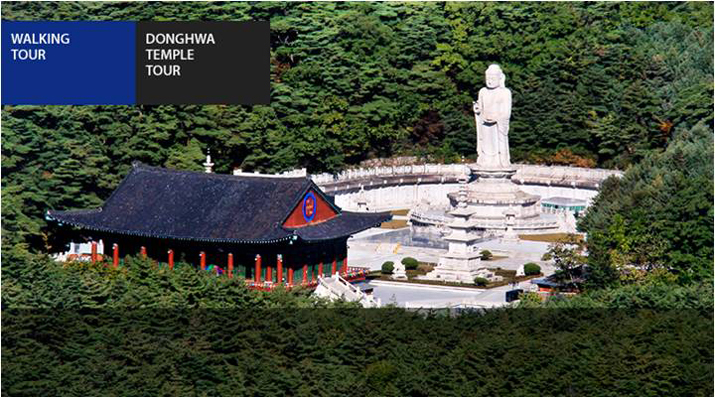 Donghwasasa is a time-honored Buddhist temple, which was built by Priest Geukdal-hwasang in 493 of the Silla Dynasty. It is located in the valley of Dohak-dong below Mt. Palgong. On the premises of the temple, a main worshipping hall, and an enormous statue of a Stone Budda standing up high are available for followers of Buddhism. To the east of the temple, Geumdangam Hermitage stands as a separate block. There are also treasures such as the original gate pillar holding temple flag(Treasure No. 254), a stone sarira stupa(Treasure No.601) and a gently smiling buddha relief 9 Treasure No.243. 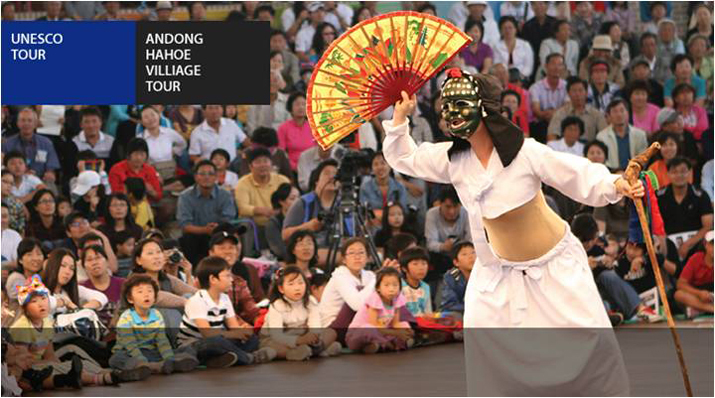 Explore Daegu's Modern Culture on this walking tour and find the traces of the past. You will walk down the streets of Daegu's Downtown area, which are filled with a charming mix of tradition and modernity. An English speaking guide will accompany you and tell you the stories behind the sights and the famous people and heroes of Daegu's Modern History. 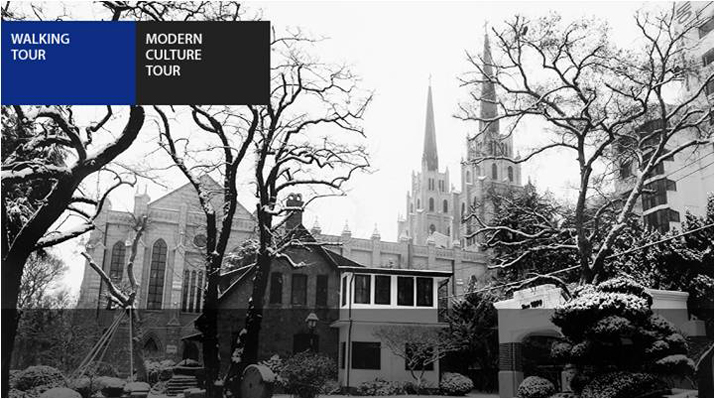 The tour contains many of Daegu's architectural highlights, such as the three well preserved early 20th-century missionary houses and the first Gothic style cathedral in the southern area of Korea, Gyesan Cathedral.